Caption: Groupers are fish of any of a number of genera in the subfamily Epinephelinae of the family Serranidae, in the order Perciformes. Not all serranids are called groupers; the family also includes the sea basses. 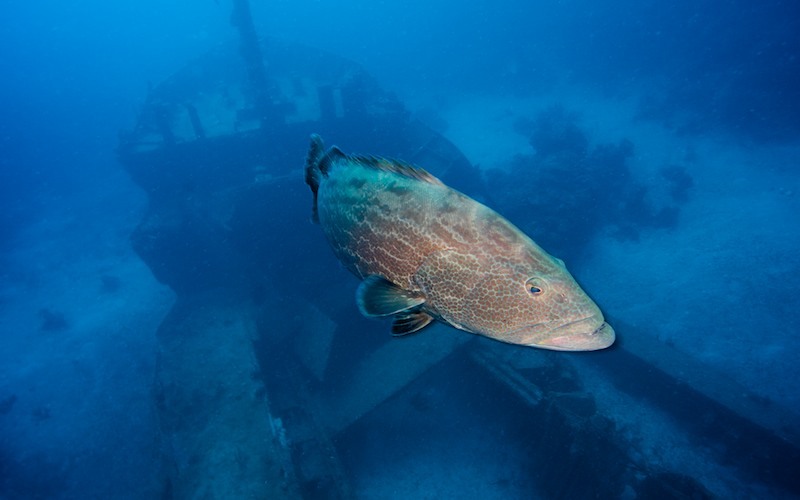 The common name grouper is usually given to fish in one of two large genera: Epinephelus and Mycteroperca. In addition, the species classified in the small genera Anyperidon, Cromileptes, Dermatolepis, Gracila, Saloptia and Triso are also called groupers.